So I do most of my gaming at night and I'm craving some audio fidelity. I want to get a good pair of 'phones and I'm probably willing to spend around 100 or 150. Questions: turtle beach or is that overpriced stuff made to gouge gamers? The ps3 and 360 are in different rooms, so a wired headset might be needed. How do they hook up? 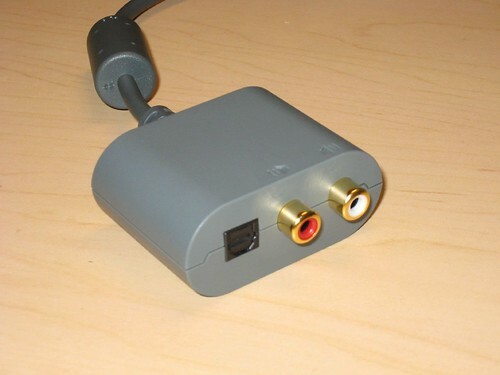 Would they use the optical audio connection from the tv? If I want to use party chat, i pretty much have to get a turtle beach thing, don't i? I dont know exactly how the quality of Turtle Beach is, or the price gouging part, but ive heard they are good. I have investigated a little into this myself, since I have a PS3 and a PC and have been wanting to get a headset for it. I was thinking of getting a USB one, just a plug in play between the two, and ive read it works, but you cannot get the videogame audio to come through the speakers on your headset for the ps3, just the chat part. I do believe the game audio part uses either the digital out or the pink and green connectors to audio. Since your looking more for better audio than chat, your probably gonna wanna be looking more at turtle beach than what I was looking at, but I figure id let ya know what I found out. So you want one with a microphone attached? I've also been told the turtle beaches aren't bad. Make sure you check out the cord length in descriptions. so i guess that means I just want it for actual audio I guess. Well, the one I linked has volume meters for both voice and in-game sound. If you just want sound, I'm a big fan of Sennheiser. The ones I bought are great, but they're now like 50 bucks more expensive on Amazon then when I bought them. I've had two pair and liked them both, might want to check them out. The ones I use for xboxing are the ones that came with the 360 slim. just plain old official ones. My buddy recently talked me into getting a pair of Turtle Beach 7.1 surround sound headphones. I was totally impressed with them... didn't see how they could do 7.1 in a headphone, but they did. Really works well in shooter games like Battlefield 3. The one and only drawback is they're wireless, which I like, but they eat batteries up. I'd say I get 8 hours of play before needing to change batteries out. This is no big deal as I have a ton of rechargeable batteries but they don't let you know they are dying. The only way you know to change batteries is when the sound goes out. I agree with whoever said Sennheiser too if you're looking good music headphones. I got the Sennheiser 595 headphones and they're amazing. About 300 bucks though. Yoda, Gotta put my 2 cents in here. I recently bought the Turtle beach x31 for the 360, this will work on the ps3 (except chat) and anything you can hook the receiver up to. It is my first gaming headset so I can't compare, though I have to say the quality is superb and as the packet says, you really do hear more then you can through a speaker. No idea why that is but the gaming experience is expanded imho. Has a bass booster and a stereo expander button, the latter of which I haven't used. This is a stereo headset, we only have 2 ears to the best of my knowledge. Anyway, they are worth the $130 I payed for them, I think they are about $100 in the states. I got the Sennheiser 595 headphones and they're amazing. About 300 bucks though. Yeah, they are good. I have the 555s which have the same driver as the 595s, just without the fabric behind the outside. Also a bit cheaper but don't have the leather bands that the 595s have (i think). I got an old pair of turtle beach X11, cost me about 80$ 3-4 years ago and they still work like new. The sound quality is really good, better than most of the ~150$ headphone out there and it also does the microphone. I think this model doesnt exist anymore though, the same quality would be the X12 now and its only 60$, but I would recommend the X41 if you can afford them, they have 7.1 and are wireless. One of my friend got these one and its amazing. Bought a pair of Audio Technica's. ATH-M30. My first pair of over-ear headphones. They're really great for the price ($50 on Amazon). You can hear all the tiny details in the music, and they have a really nice bass tone, which I appreciate as a bass player. So I'm looking into the turtle beach dpx21's. They're 150 but you can use them on both consoles. The thing is there's about a million cords. 2 cords directly to the headset from a amplifier/connector thing (3 if using 360) and two cords from the connector thingy to the system. I think I might get them though because I'm not paying 250 for a totally wireless unit and I need one that works for both. I see that these hook up to a optical out on the ps3 and the 360. On the 360 this is done I assume from the composite cable or some similar adaptor. Can I use the composite cable just for the optical out while using an HDMI?